bcu is a provider of credit cards, home loans, life insurance, home insurance, car insurance, travel insurance, superannuation, investment products, bank accounts, and business banking products. If you’re considering a bcu credit card, then check out what’s available in our comparison table below.his table is based on a monthly spend of $2,000 and is sorted by our star ratings (highest-lowest). Assuming you meet the eligibility criteria listed above, then applying for a bcu card is a simple process. 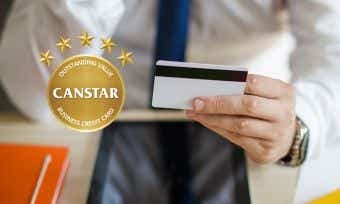 All you have to do is compare credit cards on the Canstar website then apply online for the card of your choice on the bcu website. If you need help to apply, you can call bcu during business hours on 1300 653 555, or drop in to a branch near you. How do I activate my bcu credit card? 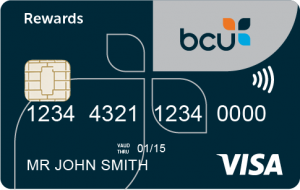 You must activate your bcu card before you can make purchases with it. Follow the instructions that come with your bcu credit card when it arrives. As soon as you activate the card, you are agreeing to the terms and conditions of bcu’s credit card agreement. Can I manage my bcu credit card online? You can manage your bcu credit card through online banking or using the mobile banking app. bcu’s mobile app allows you to make payments, view interest earned, review your transaction history, and more. bcu’s online banking is called ibank and can be accessed from the bcu website. How is interest calculated on my bcu credit card? Interest is charged on purchases when you carry a balance on your bcu credit card. Interest is charged on cash advances from the date of withdrawal, and other fees and charges apply to cash advances. Interest is also charged on balance transfers (subject to the balance transfer promotional interest rate period). Interest is calculated from the posting date on all transactions when you carry a balance on your bcu credit card. Up to 55 interest-free days apply to bcu credit card purchases if you have paid the balance in full for the previous month’s statement and for the current month’s statement. For more information about interest-free days, check out our article on how they work. What will my credit limit be on my bcu credit card? Your credit limit for a bcu credit card will be determined based on the information you provide in your application, keeping in mind the minimum and maximum credit limit listed above for each card. Find out more about how credit limits are determined here. bcu will make funds available to you up to your chosen credit limit, and it reserves the right to reduce the maximum limit at any time. You can ask to have your credit limit decreased or increased at any time by contacting bcu, noting that bcu is not obliged to change your limit. How do I close my bcu credit card account? If you wish to cancel your Bcu credit card account, contact them to arrange a cancellation. You will then need to cut the card in half and return it to them for security purposes. Cancellation will not be effective until all of this is done. bcu’s story began in northern NSW in the early 1970s, when a group of banana growers in the Macksville district formed the Nambucca Banana Growers’ Federation Members Credit Union as an alternative to big banks in the region. They started by simply offering business loans to colleagues, and in the 40 years since, bcu have expanded greatly. 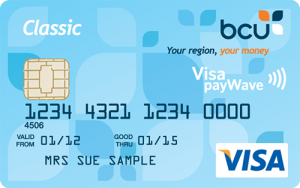 It now spans from Port Macquarie to the Sunshine Coast, providing banking products including credit cards, loans, bank accounts, investment products, and more. Thanks to its regional roots, bcu remains committed to providing jobs, economic diversity, and growth throughout their local region. Remote members of bcu who find they have to use other institutions’ ATMs are eligible for a number of free ATM transactions with their partner ATM network. You can also compare bcu home loans and other products from bcu on the Canstar website.